Is Your Broker Stuck in the Past? 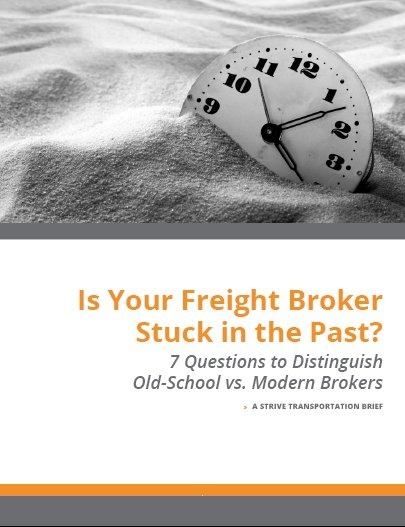 Technology is being used by brokers in new and different ways to source capacity, manage carriers, and connect supply chain partners. How does your broker select carriers and reduce your risk? Can your broker demonstrate quality performance? How does your broker price their lanes? Sign up below to get to the download!